On the day of the show, Impact Wrestling rounded out the card for their Redemption pay-per-view by adding another match. 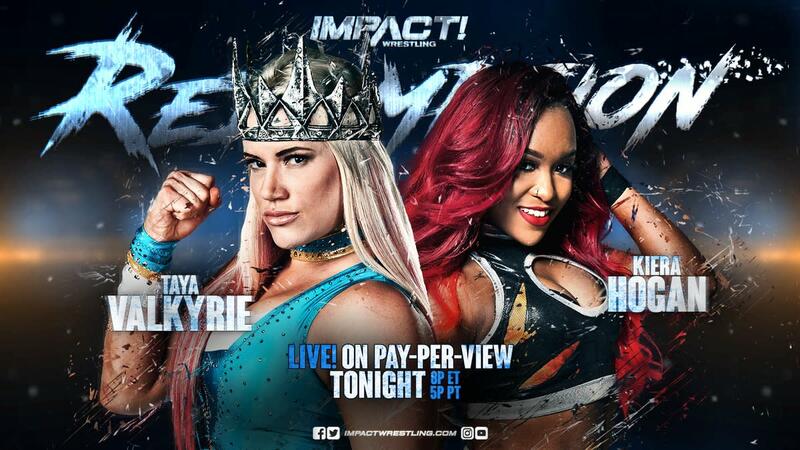 Taya Valkyrie vs. Kiera Hogan was announced for the PPV this morning, bringing the lineup up to eight matches. Valkyrie lost to Rosemary in her last match on television for Impact and unsuccessfully challenged for Allie's Knockouts Championship at Impact vs. Lucha Underground in New Orleans. Hogan debuted for Impact at their tapings in January after signing with the company last year. Allie will defend her title against Su Yung tonight.